The Ashaway Viper XT1000 badminton racket is recommended for advanced offensive players who can enjoy its ultra hi modulus Graphite with Viper weave construction and X-Treme tension frame that allows much higher string tensions than in any other Ashaway racket. A 96 grommet hole string pattern offers a dense string bed, which provides its user with a strong and stable base for the shuttle and enhances strings’ durability. The racket weighs 89g and provides good power and control during an offensive play. It features 300mm balance, stiff flexibility and ZyMax 70 string. Holds string position & tension very well. I like it. I've been using Ashaway Viper XT1000 for the last three weeks, I must say that the racket I received was brilliant for it's price (£60, during Black Friday sales) it's almost a bargain for me! would like to add that the racket suits me a lot (head light). The quality of the racket is nice, the strings and its tension suits me well, for £60 I must say it's a bargain. I've been using Yonex brand for the last 5 years, and I must say Ashaway deserves bigger recognition in the badminton business. Overall, I enjoyed the product so much. 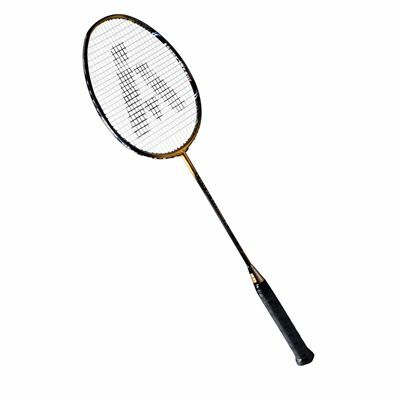 for submitting product review about Ashaway Viper XT1000 Badminton Racket.